Hemmed in by Yue and Ho! Away from the South and North? The history of Korea is filled with hard and sad episodes. For many centuries, Japanese pirates, the Yue emperors of China from the South, the Ho tribes of Manchuria from the North and others made inroads into the ‘Land of Morning Freshness’. So the national culture and worldview seem to be deeply mistrustful of neighbours. seriously competing with Indian Bollywood. The 23rd Winter Olympics will be held in Pyeongchang, Korea. And, certainly, Korean architecture plays a growing role in the professional world. We are publishing the results of the 26th UIA Congress and the General Assembly held in Seoul, and the manifesto adopted by the Congress. We couldn’t change them and returned to Seoul. LIDIN, Konstantin. Korea. 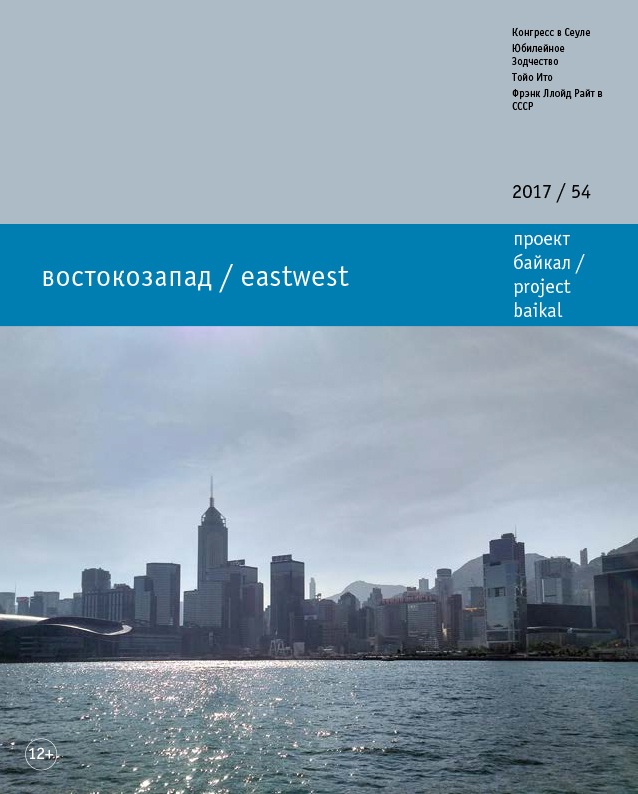 project baikal, Russian Federation, n. 54, p. 109, dec. 2017. ISSN 2309-3072. Available at: <http://projectbaikal.com/index.php/pb/article/view/1260>. Date accessed: 23 apr. 2019. doi: https://doi.org/10.7480/projectbaikal.54.1260.